We work with an increasing number of community groups, schools and other local organisations delivering projects and courses that use bikes and cycling to develop practical skills and build confidence. 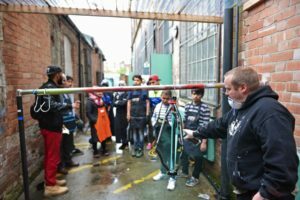 We offer both vocational and qualification based training to people in Nottingham facing disadvantage, including refugees and asylum seekers, people living with anxiety and depression, children and young adults who are struggling with education or are not in education, employment or training (NEET). 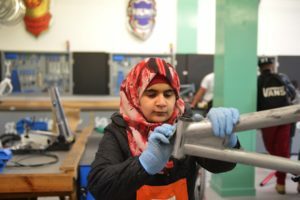 ‘Build-a-Bike’ project – participants choose a donated bike, strip it down completely, respray the frame and then rebuild it, replacing parts as required, to end up with a roadworthy bike. 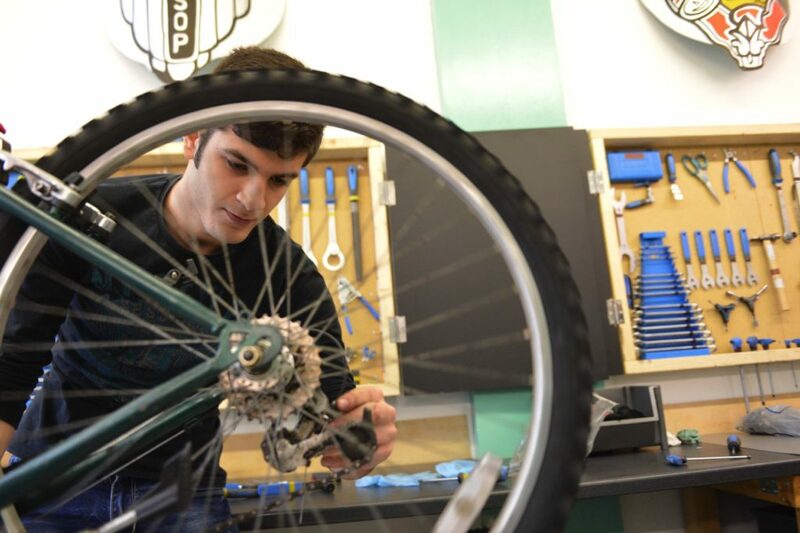 Basic maintenance and repair such as punctures, lubrication and brake/gear adjustment are covered along the way. This is a very flexible project that can be extended or adapted to suit individual or group requirements. 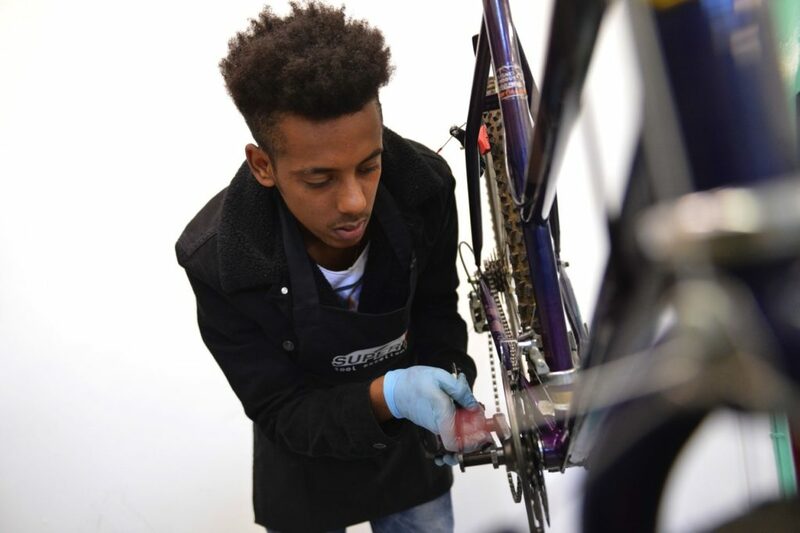 Accredited Courses – We are a fully accredited City and Guilds Training Provider and offer a range of nationally recognised Bike Maintenance qualifications at Entry Level, Level 1 and Level 2. We are also able to deliver skills based qualifications such as ASDAN. We aim to make a lasting difference to people’s lives by offering them the opportunity to learn new skills, both practical mechanical skills but, just as importantly, social and communication skills through their interaction with fellow participants and Nottingham Bikeworks staff and volunteers. Providing a bicycle provides a cheap and practical transport alternative, which allows people to access services, education and employment opportunities that can help lift them out of poverty and/or isolation and increase their social interactions. Riding a bicycle also has huge additional benefits. Regular cycling increases physical and mental fitness and can be an immense source of pleasure and wellbeing. More cyclists also improves the local environment and makes urban living better for everybody.